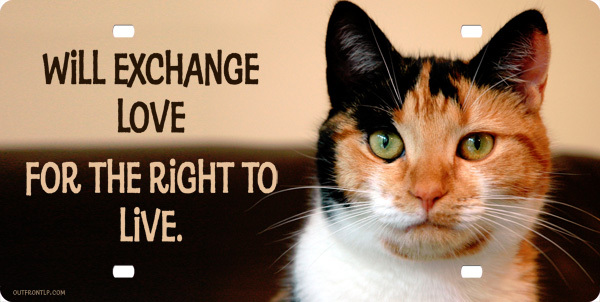 Calico Cat License Plate Will exchange love for the right to live. Or we can put any text on this plate. Just put your information in the instructions box after you select.